Given customers’ various needs, getting to a zero emissions future will require more than just battery electric technology. It will require a two-pronged approach to electrification — battery electric and hydrogen fuel cell electric depending on the unique requirements. GM also introduced SURUS — the Silent Utility Rover Universal Superstructure — a fuel cell powered, four-wheel steer concept vehicle on a heavy-duty truck frame that’s driven by two electric motors. With its capability and flexible architecture, SURUS could be used as a delivery vehicle, truck or even an ambulance — all emissions free. Is Hyundai thinking about buying FCA? This is from a question posted on TFLcar.com’s “Ask Nathan” weekly post. You can read the whole column (here). Q:Hi Guys, it is true that Hyundai will buy FCA? Is this for real? 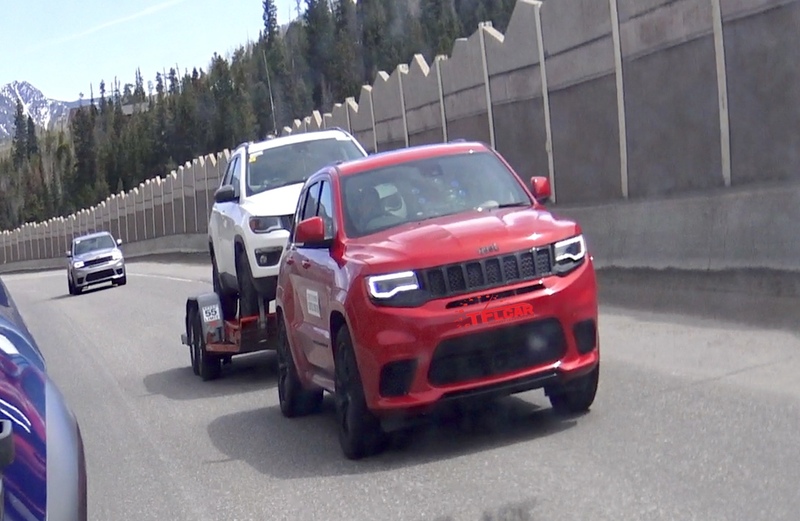 If it is true, what’s going to happen to Jeep and Ram?1!? I have nothing against Hyundai, but this seems like a drastic idea. Hyundai is known for smart sensible engineering. As Nathan puts it, everything Italian is built for an emotional connection. They are two completely different philosophies with Hyundai appealing to the brain and Fiat battling for your soul. Also =, with all the instability in Korea, is it such a good idea to absorb a company that American consumers are so reliant on? Love your Ike Gauntlet and off road shows! Normally, emails take time to post, but your email is rather timely. I just caught wind of this through our friends at Carscoops.com. I investigated this rumor and found out that – yes – there is some truth to the rumor. My take? If this happens (and that’s a big “IF”), I think Hyundai would gradually make changes to allow the cash-cows of FCA (Jeep and Ram) to expand a bit while they get rid of models that are undesirable or competitive with their brands. I think they would kill off vehicles like the Fiat 500L, Chrysler 300C, Dodge Journey and more. They would plan to platform-share as well; perhaps something like a Chrysler sedan based on a Genesis platform? There are lots of possibilities. The bottom line in my book is: this could be a good thing. It would make Hyundai the largest automaker on the planet, add to FCA’s financial stability and it would give Hyundai something its wanted for decades, a competitive pickup truck.